LAS VEGAS (Dec. 20, 2018) – Save the Date(s). 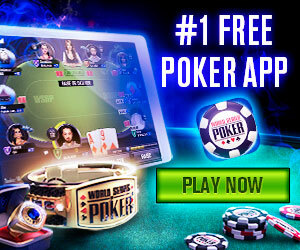 The 50th World Series of Poker (WSOP) – the longest-running, richest and most prestigious tournament series – opens its doors on Tuesday, May 28, 2019 at the Rio All-Suite Hotel & Casino in Las Vegas. The Big 50 is a must play event for poker players. To celebrate our 50th, the WSOP is making everyone’s initial entry into this event rake-free. All $500 of the entry will go entirely to the prizepool. (Anyone who re-enters pays the normal rake, including re-entries into another flight). The Big 50 features four starting flights (ThursdaySunday am) where players begin play with a whopping 50,000 in chips and play 12, 50-minute levels on Day 1. The WSOP has a $5 million prize pool guarantee, as well as ensuring the winner claims $1 million for the Big 50. Buy-ins for tournaments at the Rio will start as low as $70. Single table satellites and all your favorite live poker games: low, medium and high limit will begin on May 28 and run 24 hours a day throughout the seven-week series taking place in the spacious Rio Convention Center for the 15th consecutive year.